Possession-based football was not the dominant influence at the 2014 World Cup in Brazil, certainly compared to the 2010 edition in South Africa. Indeed, the fact that holders Spain fell at the first hurdle in Brazil now appears highly symbolic. Nevertheless, the style of play and approach developed by Spain and Barcelona, and maintained by such personalities as Pep Guardiola, has taken root throughout the footballing world. Guardiola and his assistant Tito Vilanova based their playing concept on a philosophy originally introduced by Johan Cruyff to Barcelona’s academy from youth sides all the way through to the first team, and modernized these principles to fit the requirements of contemporary football with the help of a generation of exceptional players such as Lionel Messi, Xavi, Sergio Busquets, Andres Iniesta and even Seydou Keita. By artfully advocating a playing style based on possession, short passing play and attack in which the ball is played forward from defense all the way to goal by means of pinpoint combination play, Barça captivated the footballing world. Guardiola was also assisted in his endeavors by a Spanish national team that relied on a similar system known as tiki-taka, which ultimately led them to victory in two successive European Championships and at the 2010 World Cup in South Africa. From almost the very beginning, clubs on every continent began converting to the teachings of ‘Guardiolism’, signing players and – most importantly – coaches who were able to implement Barcelona’s playing philosophy. Every effort was made to find Guardiola’s disciples – former team-mates, colleagues or even erstwhile teachers who had worked with him in the past and aspired to a similar brand of football. It could be argued that this was the first time implementing a particular playing style was considered more important than good results. The task of a football manger is to make players perform to the best of theirs ability. He did not have famous fame by a football coach when he became a new manager but he showed his extraordinary ability to rebuild and to improve the spoiled team. By a new leader of team, Guardiola has struggled to know the value of collective maximize the virtues of the best and make everyone share in the same goals. He was a perfectionist, he studies his rival and take of small details and He used risky tacktics to surprise his rival. He teaches, supports, defines a clear direcion, obtains, resources, explains the teams development and state and its project. Like a great leader and leadership, he created new leadership style by a football manager. His leadership has very emtional and motivative characters than anthorative or charismatic leadership styles of other famous coaches. He respectes all palyers, supporters, moreover rival teams and players. He has the great belief to what to do, and always he thanks for that by a football manager. His leadership style is a kind of philosopher style like that Phil Jackson who was a heroic manager of NBA(Chicago Bulls and LA Lakers). But he is more passionate and emotional than Phil Jackson. Even though he learned many things from Johan Cruyff, he created a new leadership style that more democratic and distributed power than his old leader. 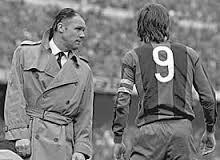 His staff and players loved him with all their heart and he made FC Barcelona “more than a club” in the football world. First, He analysed efficiently the team and players. Second, He made a excellent strategy for achieving objectives. Third, He and his management staff achieved goals with a team. Forth, He produced his successor and young players for sustainability and competence advantage of a team for the future. 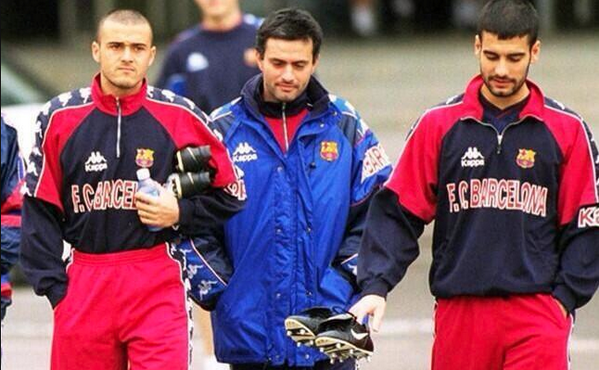 Nowadays, we can find two advanced great football managers like Josep Guardiola andJose Mourinho. They achieved great results for a team and showed great leadership through their football management and achievement..
Wherein, they have similar leadership style but showed very different personality. 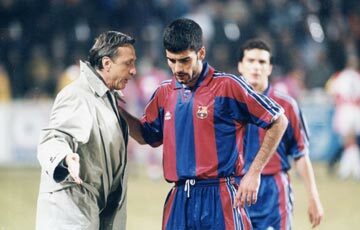 Guardiola always showed respecting to other teams and referee so that his players also followed his discipline. 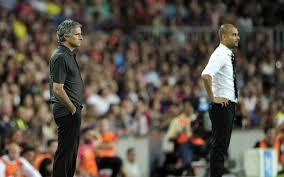 But Mourinho was aggressive to competition teams and players; moreover he provoked some troubles with others. But he always protected his players and a team from outside barriers like media, supporters, and administration members. Players respect two leaders and feel fatherhood from them. By a coach and a leader, perfectly they managed a team and players to reach goals. As a result, they could perform the great achievement with a team. There are a variety of ways a mountain climb. How to climb a mountain is up to people who choose it. The secret of leadership is that they had an excellent insight into human potentiality. Therefore, the methodology is not the main key of great leadership. The style of leadership has evolved with the social change and development. The present society asks more distracted and soft power to the organization. An Orchestra has many persons and instruments. Great leader and leadership looks like that the orchestra conductor. A conductor makes characteristics of each member to be integrated harmoniously in a team. A conductor takes out the potential of each member for identified harmony. 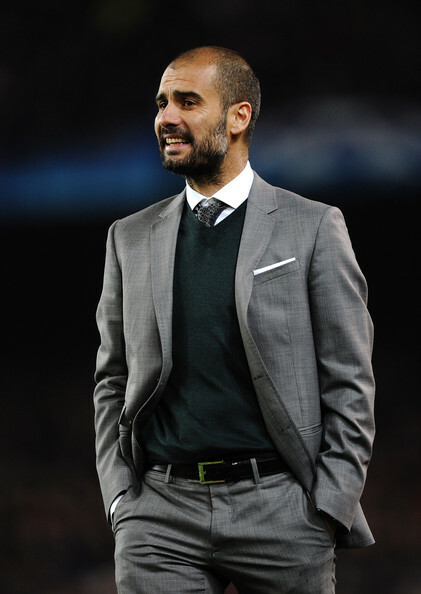 Pep Guardiola as the football field conductor showed his awesome leadership and developed innovative football strategy through 2 times’ world cup, moreover he have proofed the attacking football philosophy (Progressive Total Football) to the world football. In future, Pep Guardiola is going to challenge the new football tactics and exploit the new frontier for revolutionary football world. Generally I don’t learn article on blogs, but I wish to say that this write-up very compelled me to take a look at and do it! Your writing style has been surprised me. Thank you, very great post.